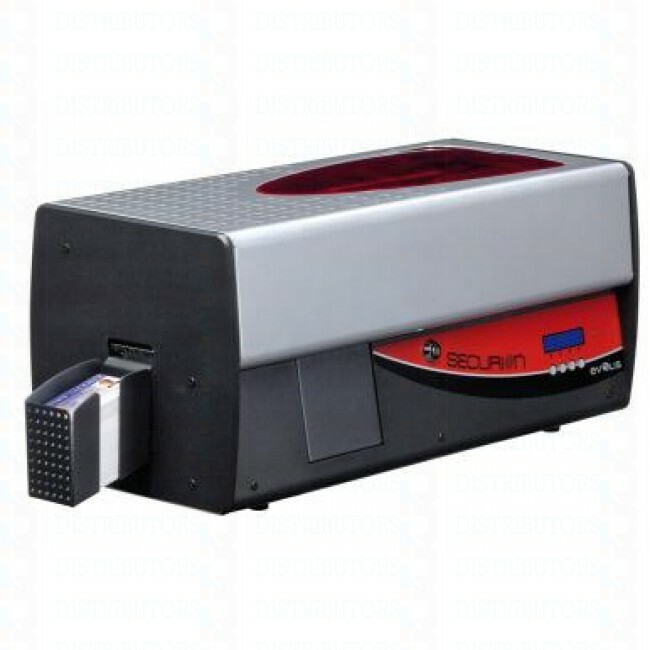 Evolis Securion (SEC101RBH-M) Double-Sided Printer & Laminator with Magnetic Encoding. The Evolis Securion dual-sided card printer with dual laminator,USB & Ethernet, M2 year unlimited print warranty and lifetime over the phone technical support. The Securion is a one-stop solution for personalizing and laminating secure badges on-site. The printer seamlessly scales to meet growing concerns about security and data forgery, while greatly extending the lifespan of any card. The compact printer offers dual-sided operations on both the color-printing module and the lamination station. A protection film is applied over the surface with hot roller technology, after the graphical and electrical personalization process. The film is either a continuous layer of varnish or a patch. Editing and encoding a secure badge is just a matter of a single pass.